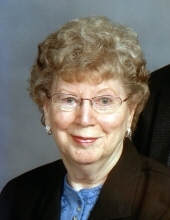 TERRE HAUTE-Mary F. Deeter Peffley, 90, of Terre Haute, Indiana passed away at 1:35 am Thursday, January 31, 2019 at Westminster Village Health and Rehab in Terre Haute. She was the retired co-owner of the Bridgeton County Store. She was born February 13, 1928 in Terre Haute, Indiana to the late Shirl F. Deeter and Eunice Gibbens Deeter. Survivors include her husband of 66 years, Charles E. “Pete” Peffley whom she married September 27, 1952; also surviving, one sister in law, Jane Deeter of Terre Haute; several special nieces and nephews; She was preceded in death by a brother, Max Deeter. She was a member of the Bridgeton United Methodist Church and after moving to Terre Haute became a member of the First Baptist Church in Terre Haute. She was employed by the Root Store Company and was head cashier for Sears Roebuck and Company in Terre Haute. She retired in 1985 from the U.S. Postal Service with 18 years of service. Graveside services will be 2:00 pm Monday, February 4, at Clear Run Cemetery in Bridgeton, with Pastor Perry Mager officiating. Burial will follow. Arrangements entrusted to the care of Gooch Funeral Home, Rockville. To send flowers or a remembrance gift to the family of Mary Peffley, please visit our Tribute Store. "Email Address" would like to share the life celebration of Mary Peffley. Click on the "link" to go to share a favorite memory or leave a condolence message for the family.